Dan Kremer and Rebecca Harris. Photo by Meghan Moore. Ghost-Writer by Michael Hollinger, Merrimack Repertory Theatre, 4/19/12-5/13/12, http://www.merrimackrep.org/season/show.aspx?sid=109. 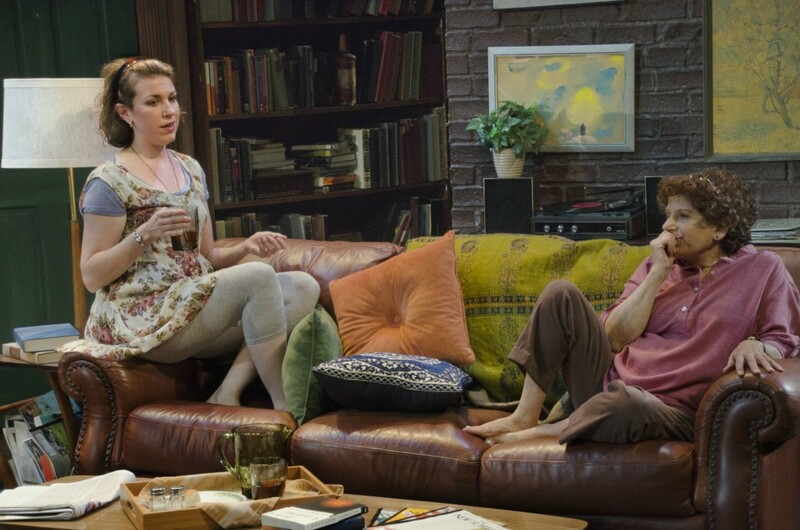 l. to r. Liz Hayes as Lisa and Bobbie Steinbach as Ruth in Collected Stories. Photo by Andrew Brilliant/ Brilliant Pictures. 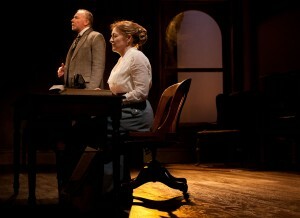 Collected Stories by Donald Margulies, New Repertory Theatre, Arsenal Center for the Arts, 10/9/11-10/30/11. http://newrep.org/collected_stories.php. (Watertown, MA) Storytelling began as a way to pass on history and myths of a culture. In fact, some of the earliest stories were only credited when they were written down (for example, Homer with The Illiad and The Odyssey). Nowadays, even ideas are called into question. Birds can no longer Tweet ® and can only chirp due to Twitter receiving the trademark for the word “tweet”. Where do we draw the line? Are we the sum of our thoughts? Who owns the rights to what we learn and what influences us? New Rep’s production of Collected Stories examines these issues.